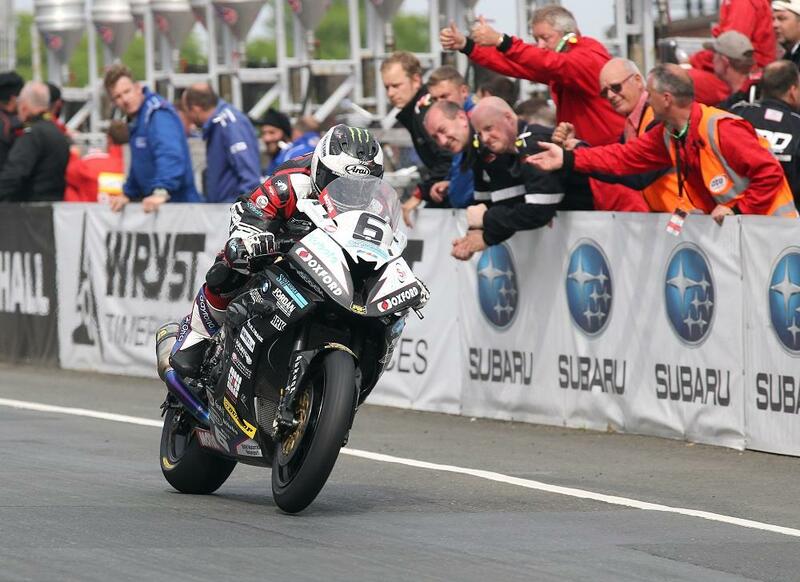 Michael Dunlop took his 13th TT victory with a dominant win in today’s Senior race to beat Ian Hutchinson by 31.476 seconds. The Hawk BMW rider doubled up his big bike victory from Saturday after once again building a comfortable 3.5 second gap on Ian Hutchinson with a 133mph on the opening lap. As the Ballymoney man’s charge continued, he beat his own outright lap record with a 133.952mph average speed despite coming in to the pits at the end of lap two. Peter Hickman was forced to retire from third position on the second lap, with John McGuinness benefitting from his retirement despite a slow start to the race. Two rapid pit stops for the Honda Racing team saw Hutchinson pull significant time on his rivals to cement his second podium of the week. Dean Harrison rounded out a strong week with fourth on the Silicone Engineering ZX-10R, ahead of Bruce Anstey who took fifth on the Honda RC213V-S despite riding battered and bruised after his practice week crash. Conor Cummins completed the top six ahead of Michael Rutter, with Lee Johnston, James Hillier and Ivan Lintin rounding out the top ten.